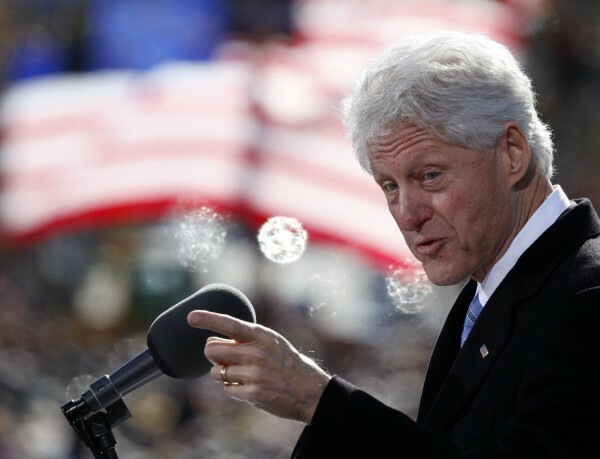 Former U.S. President Bill Clinton speaks to a crowd at a campaign event for U.S. President Barack Obama at State Capitol Square in Concord, New Hampshire, November 4, 2012. 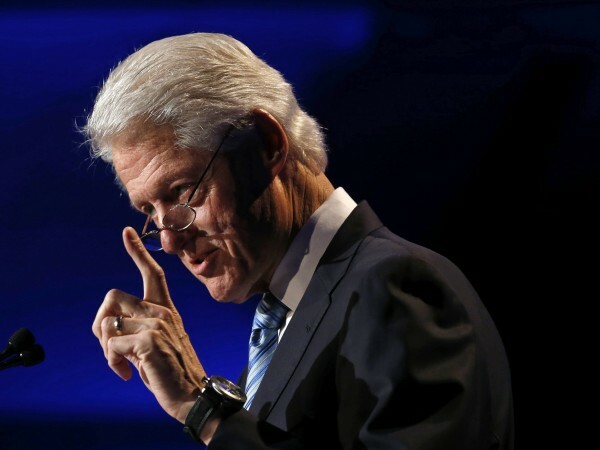 PORTLAND, Maine — Former U.S. President Bill Clinton will come to Maine to campaign for Democratic gubernatorial candidate Mike Michaud next week, Michaud’s campaign announced Tuesday morning. Clinton will attend an evening rally for Michaud and the state Democratic party at Portland’s waterfront Ocean Gateway facility Tuesday, Sept. 2. “[Clinton] will showcase why Michaud is the best candidate to lead Maine and bring Democrats, Republicans and independents together to strengthen Maine’s economy and create jobs,” an announcement by the Michaud campaign stated Tuesday morning. Michaud is locked in a tough, three-way battle for the Blaine House against incumbent Republican Gov. Paul LePage and independent Eliot Cutler, whose campaigns brushed off the news as a rehash of 2010, when visits to Maine by Clinton failed to propel Democratic gubernatorial candidate Libby Mitchell to victory. Clinton’s visit comes at a time when most polls show Michaud in a virtual dead heat with LePage. Cutler, who finished a close second to LePage in 2010, trails Michaud and LePage by wide margins in public polling. LePage has benefited from two campaign visits by high-profile Republican Gov. Chris Christie, from New Jersey, already this summer, as the race has ramped up in intensity. Christie is seen as a potential GOP presidential nominee in 2016, while Clinton’s wife, former U.S. Sen. and Secretary of State Hillary Rodham Clinton, is considered a possible Democratic White House candidate. LePage campaign spokesman Alex Willette said Michaud’s campaign — like Mitchell’s four years ago — requires a boost from a popular national figure because the Democratic candidate is failing to inspire or win over Maine voters. “Congressman Michaud’s career as a go-along to get-along politician requires presidential star power to get the attention of the Maine people, unlike Gov. LePage, who has a proven record of reforming government and getting Mainers back to work,” said Willette in a written statement. Cutler last week received the endorsement of independent U.S. Sen. Angus King, the popular former Maine governor. In a written statement Tuesday, Cutler campaign spokeswoman Crystal Canney touted the King endorsement while downplaying the importance of political endorsements. Michaud’s campaign recently was forced to reschedule a campaign rally with Cecile Richards, the president of the national Planned Parenthood Action Fund, from Wednesday to a later date in the fall yet to be announced. Clinton, who remained popular in the polls during his two terms in the White House despite allegations of several romantic affairs and an impeachment by Congress for lying under oath about one of them, has become a prolific and high-profile campaigner. Clinton came to Southern Maine Community College and the Lewiston Armory in separate visits in 2010 to raise support for Mitchell, who ultimately finished third behind LePage and Cutler in a five-person race. But there’s no question Clinton’s visit is exciting some voters. By noon Tuesday, roughly three hours after the news of Clinton’s visit was first announced, the Michaud campaign said the former president’s appearance was booked to capacity, with more than 750 online RSVPs. BDN State House bureau chief Christopher Cousins contributed to this story.